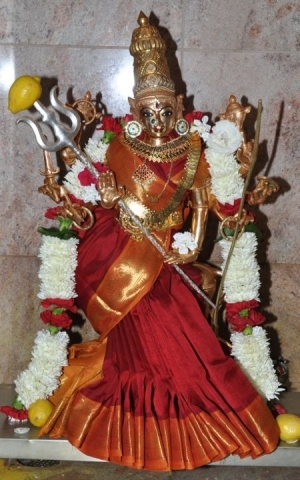 Šri Durga is the embodiment of šakti – Divine (female) energy. She is said to have the combined energies (in the form of weapons) of powerful deities such as Siva, Vishnu, Indra and others, making her a virtual powerhouse. It is believed that Her benevolent grace ensures success in both material and spiritual pursuits. She would also give us the positive energy to conquer our evil tendencies and gain control of ourselves.